She raised her hand during the first session of our Productive Muslim Retreat and said “I don’t pray. I don’t see why I should pray. I don’t see the need to pray”. I thanked her for her honesty and asked her to simply experiment with praying with the group for the 7 days of the retreat. This is the moment I realized the power of our Productive Muslim Retreat. 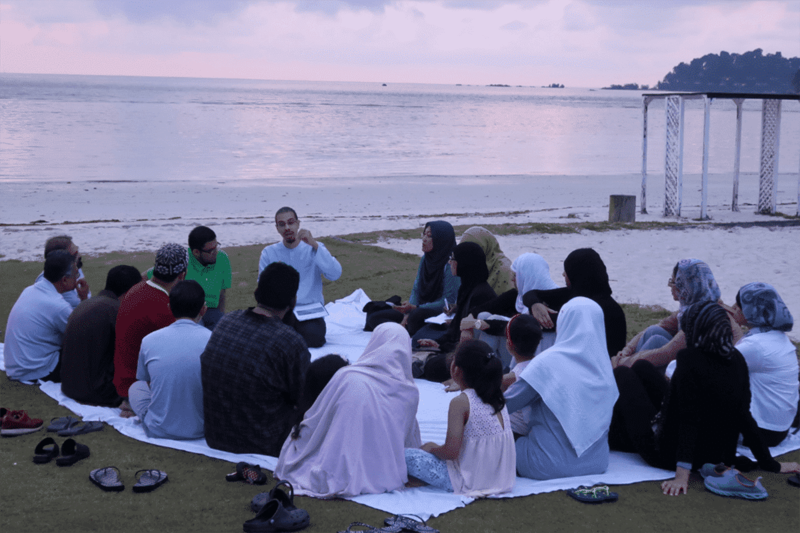 Every year, Productive Muslim followers from around the world converge on a remote Island for a 3 to 7-day faith-based personal development retreat. The goal is for participants to pause and reflect on where they are in life and where they want to be. It’s a holistic body-mind-soul experience that’s based on Islamic values as well as peak performance productivity science to help participants live the best version of themselves: spiritually, physically, and socially. Most importantly, it’s a safe space for anyone – regardless of the level of religiosity – to rediscover the relevance of the Islamic faith in helping them live a meaningful & impactful life. Why you need a retreat? Imagine driving a car at 100 miles per hour for 24-48 hours straight, not stopping for any traffic light, stop sign, or pedestrian crossing. What would happen? As insane as the above example sound, for some of us, this is exactly how we’ve been living our lives, always full speed ahead, not taking the time to pause and reflect on our lives. And even if we do pause (usually because we are forced to through illness or exhaustion), our moments of pause are not planned and we fill them with distractions, hoping they’ll end soon so we can jump back into the rat race of life. Yet with all this speed and rush in life, we sometimes fail to stop and think of where we are heading. Imagine someone stopping you in the middle of your day and asks, “so where are you going?” This is not about where are you heading with your career, or family, or your next pet project, but where are you heading with your life? Look at your life from a 50,000 ft view and tell me where are you going? It’s a tough question, and one we need to spend more time to answer. Why don’t we like to pause? Let’s be honest – pausing and reflecting can be painful. It makes us feel inadequate, regret the past, worry about the future, and realize that we’re not living the life we dreamed about. Following Newton’s law of motion – sometimes it’s easier and takes less energy to continue moving in one direction than apply the brakes and change direction halfway through life. We give excuses such as “I don’t have time” or “I’m too busy” or “I have far more important things to do”. But the truth is, we don’t like to pause because it is uncomfortable. None of us like to be wrong. None of us like to look in the mirror and realize what we’re on the wrong track. But here’s the key takeaway: unless we do take time out to pause and reflect, we’ll never have a chance to realize whether we need to adjust the steering wheel of life by a few degrees, or make a total U-turn before it’s too late. And here’s the good news: It’s never too late to pause and take time out to look in the rear-view mirror of life and make those adjustments. How Productive Muslim Company can help you pause and make key decisions in life? 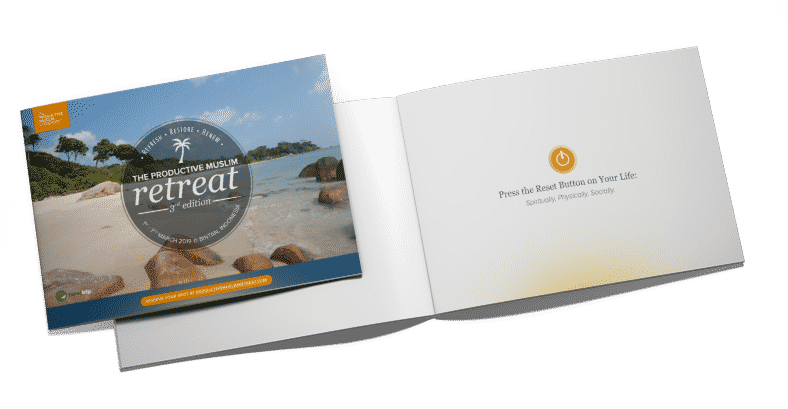 When we first designed our retreat – in partnership with Singapore based company, HalalTrip – our goal was to design a faith-based personal development experience that would make a true and lasting impact on people’s lives. This is not a holiday or vacation where you sit on the beach and do nothing. This is a faith-based personal development retreat that helps you develop personal strategies and action plans to upgrade your lives – spiritually, physically, and socially. 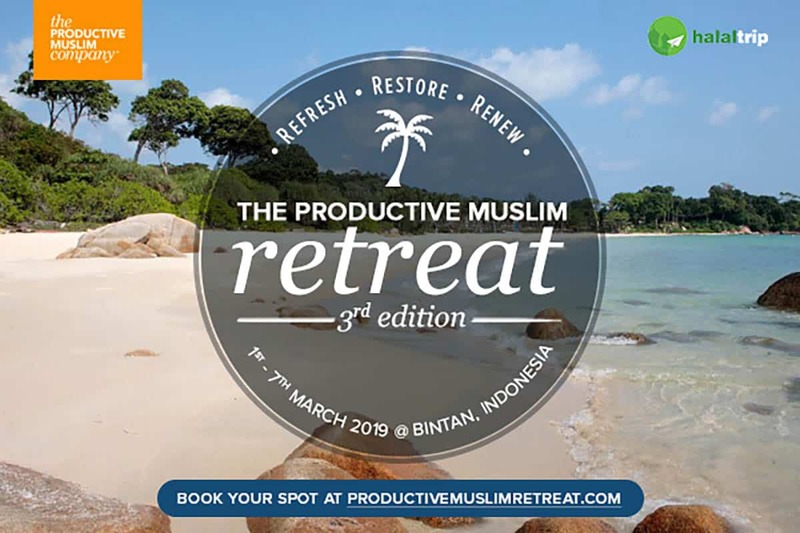 Through powerful workshops, group activities, one-to-one coaching, personal reflection, and daily challenges, you’ll refresh, restore, and renew your lives beyond your expectations inshaAllah. 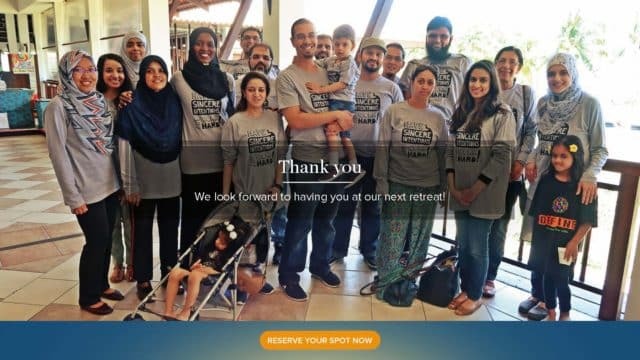 Alhamdulillah – every retreat we’ve held so far has achieved that and you can read and watch the testimonials below. Remember the story I mentioned at the beginning of this article, about the participant who didn’t pray. We followed up with her 1 month after the retreat and she proudly says that she continues to pray. Book your spot today for our next retreat.